There are lots of fonts to choose from online in many different designs. One design that I’m drawn to is the brush font. This font design has an artistic element that stands out no matter how simple or complex the font’s design. In this article, we’ll look at 22 brush fonts to add a hand painted element to your design. 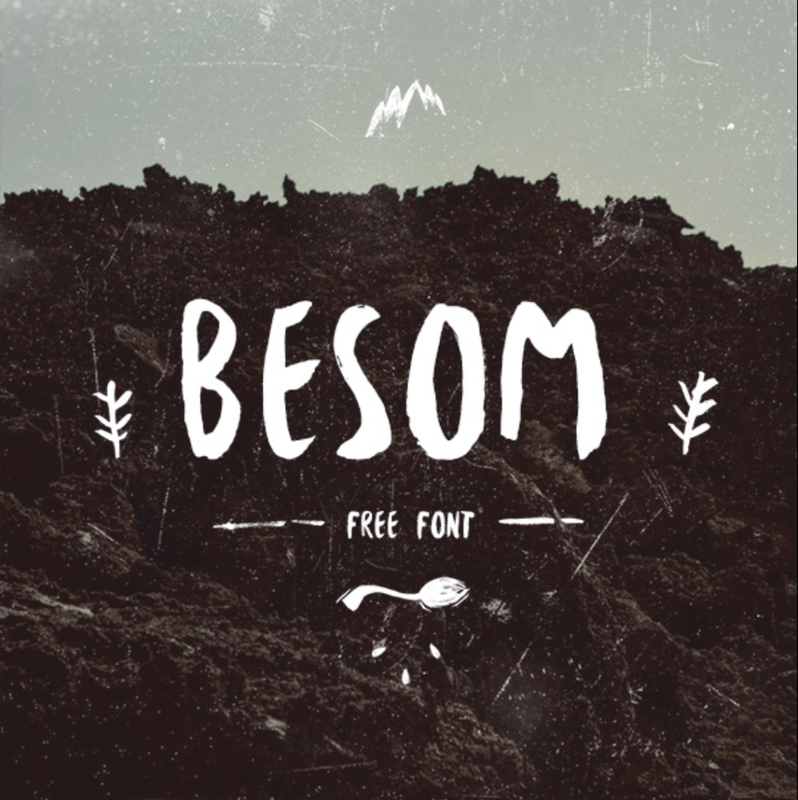 I’ve included free and premium fonts. I’ve noted the license where possible, but be sure to check the license agreement to see if they’ll work for your needs. License agreements could change over time and it’s always a good idea to check. I’ve placed each brush font in alphabetical order. 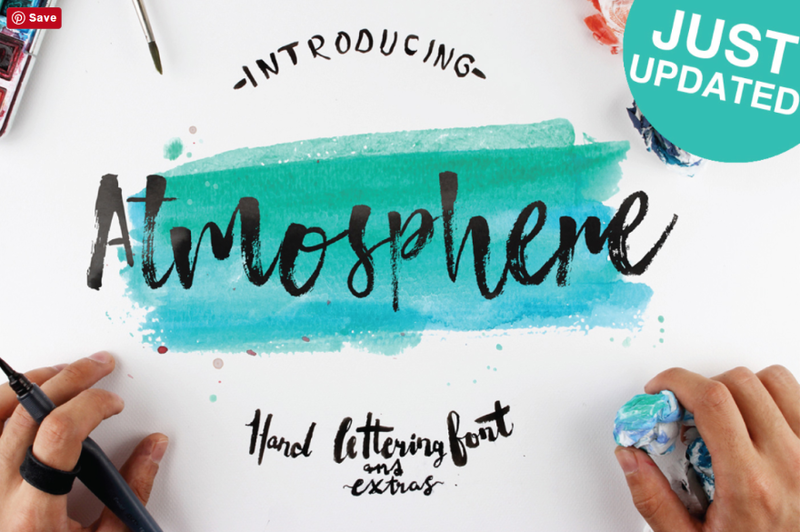 Atmosphere is a hand-drawn font with natural brush strokes to create an authentic brush texture. It includes upper and lowercase characters, numbers, punctuation, and symbols. It also comes with 20 watercolor splotches to use in your typographic pieces. It’s free for personal and commercial use. 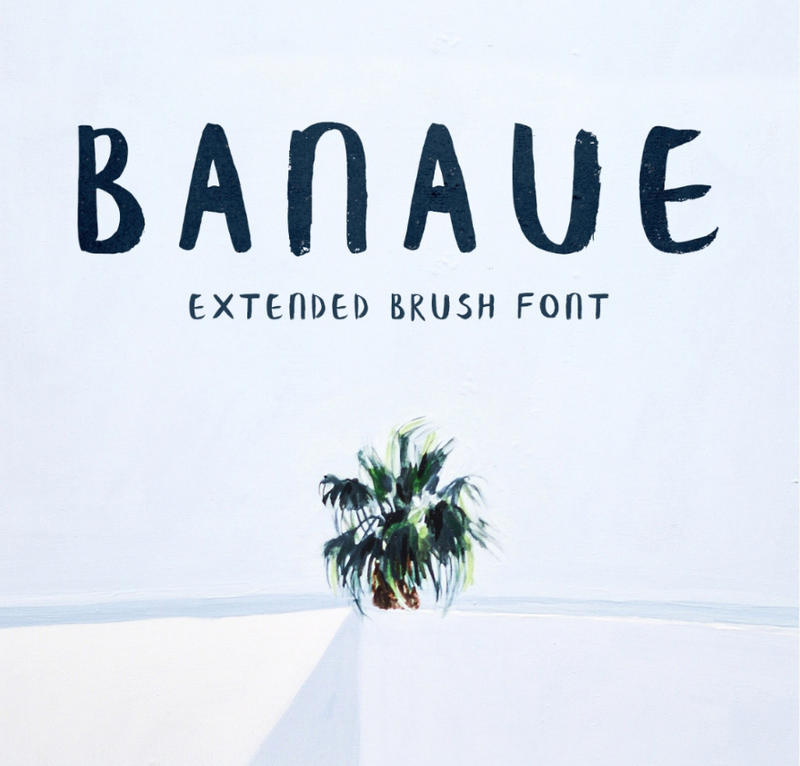 Banaue Extended is the premium version of the free font – Banaue. It contains 329 characters including upper and lower case letters, numbers, symbols, Cyrillic letters, and EU country based glyphs. It includes characters for seven languages. There are multiple licenses to choose from. Besom was painted by hand with a brush that resembles a raw besom. It has Latin extended, 156 characters, and the free version only includes uppercase letters. The premium extended version includes glyphs, a Cyrillic and Latin extended character base, and lower case letters. 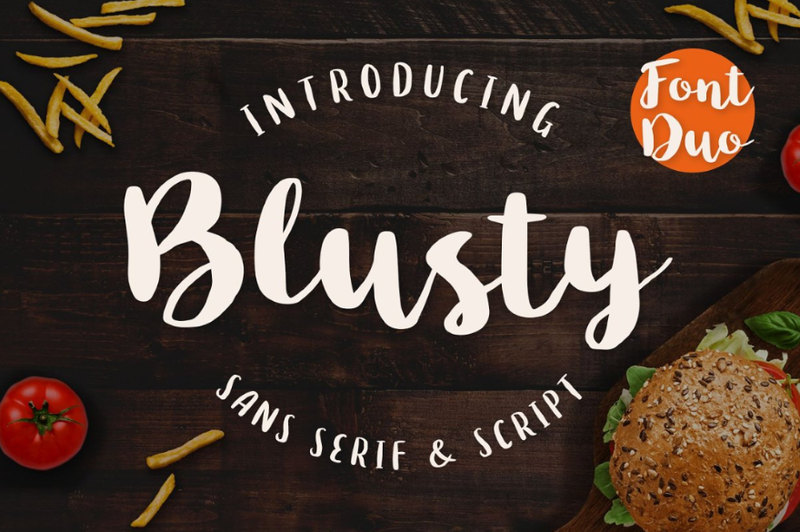 Blusty is a handwritten font duo with sans serif and a script font that’s based on real handwriting. It includes upper and lower case, stylistic alternatives, standard ligatures, numbers, punctuation, and accents for multi-lingual characters. It can be used for unlimited personal or commercial projects, and for unlimited sales of end products. 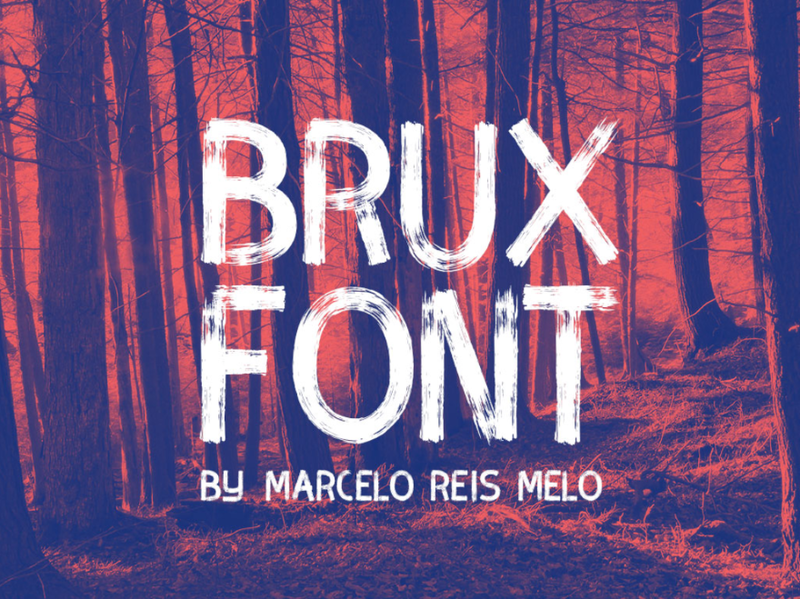 Brux is a brush font with thick strokes and a drybrush look. It includes English, German, and Spanish characters in capital letters. It also includes numbers, punctuation, and symbols. Use it for personal or commercial use. 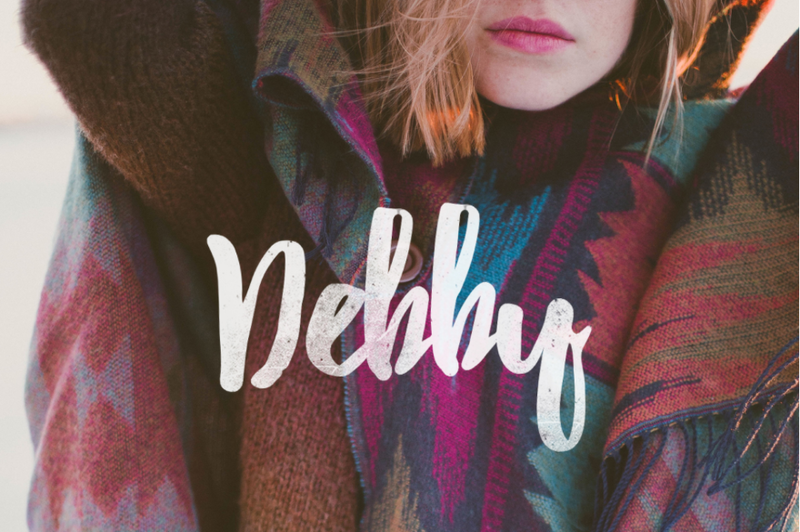 Debby is a hand-drawn brush font that’s designed to look natural with its irregular bouncy characters and the rough shapes. It includes upper and lower case, numbers, punctuation, and symbols. 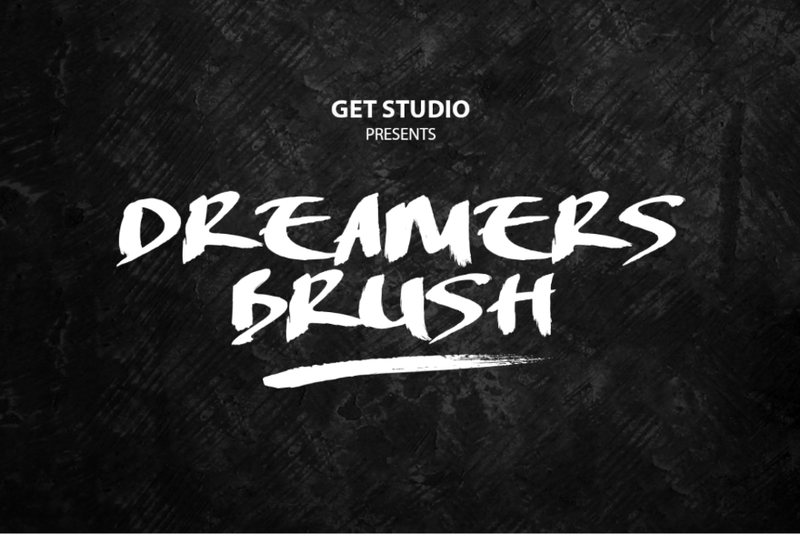 Dreamers Brush is a hand-made brush font that was designed to create a hand-lettered look. It includes upper and lower case letters, numbers, punctuation, and symbols. 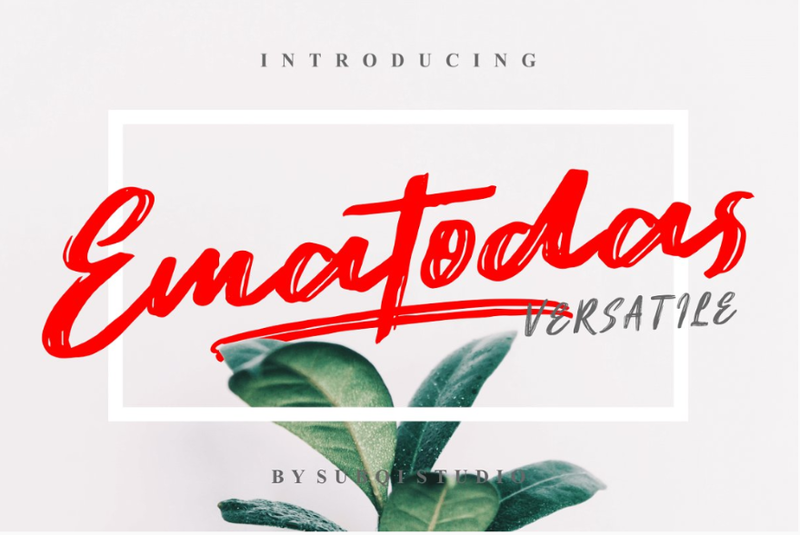 Ematodas is a bold brush handwritten typeface that has a drybrush texture. It includes upper and lower case, numbers, punctuation, symbols, ligatures, and stylistic alternates. It can be used for unlimited personal or commercial projects, and for unlimited sales of end products. 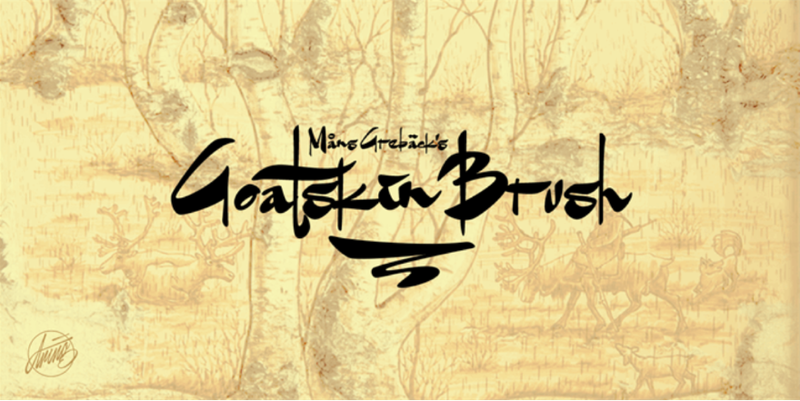 Goatskin Brush is a brush font with an Asian style. It has both thick and thin brush strokes. It includes upper and lower case letters, punctuation, and symbols. There’s a free version for non-commercial use, and there are lots of licenses to choose from. 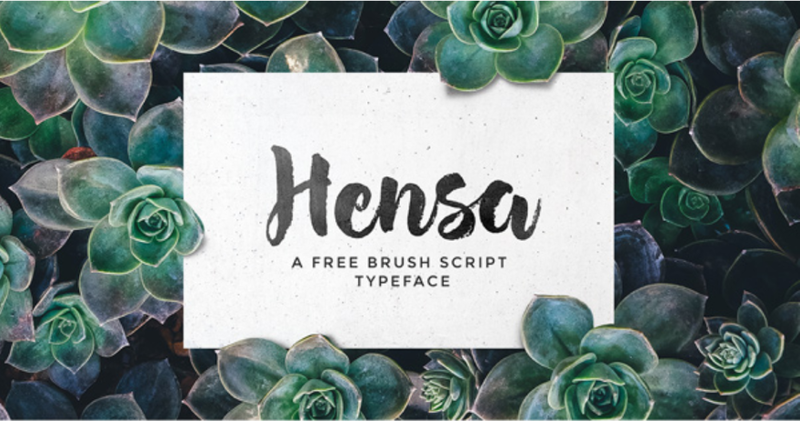 Hensa is a hand-painted brush script typeface that includes lower and upper case letters, punctuation, numbers, and ligatures. It also has several swashes. This one looks especially interesting where the letters have a variation in the amount of ink. 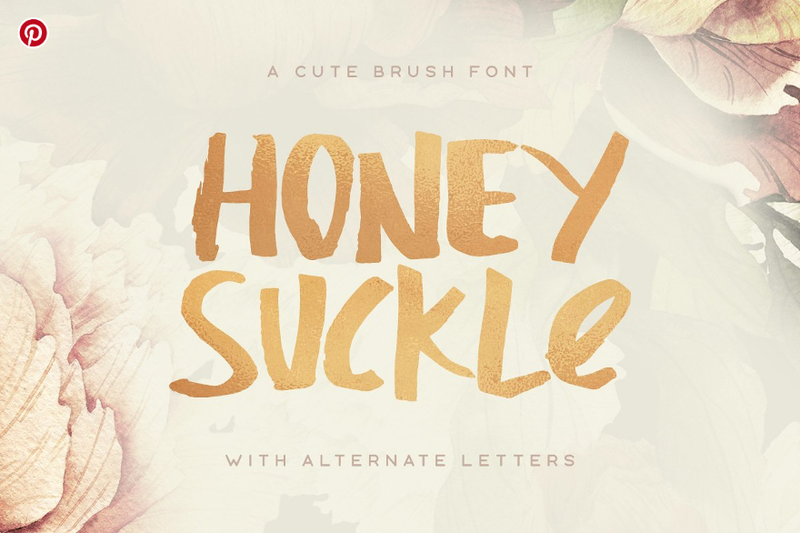 Honeysuckle a cheerful and cute brush font that comes with default letters, alternate letters, punctuation, numbers, and multilingual support. It also includes extra swashes and decorative elements to create fancy lines. It can be used in unlimited commercial projects including sales of end products. 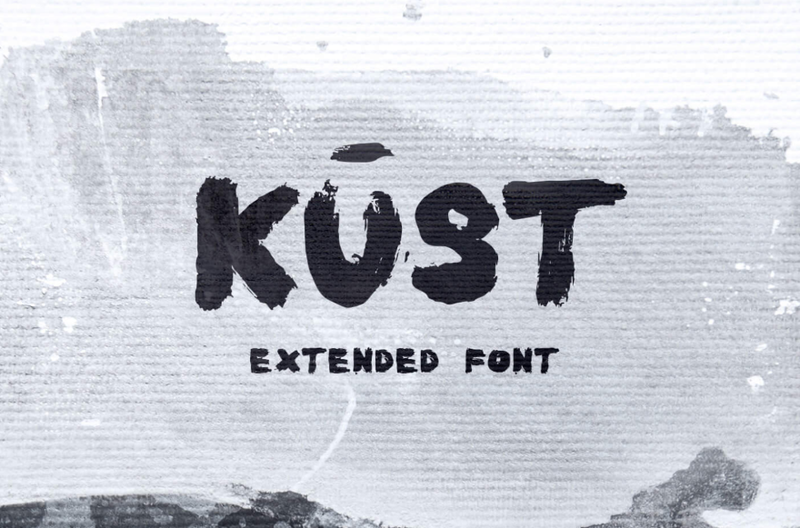 Kust Extended is the premium version of the free font – Kust. It’s a handwritten typeface that was drawn on hard paper with a thick brush using pure black ink to give every letter a distorted look. It includes 430 characters with upper and lower case, numbers, punctuation, symbols, Latin, Cyrillic, and more. 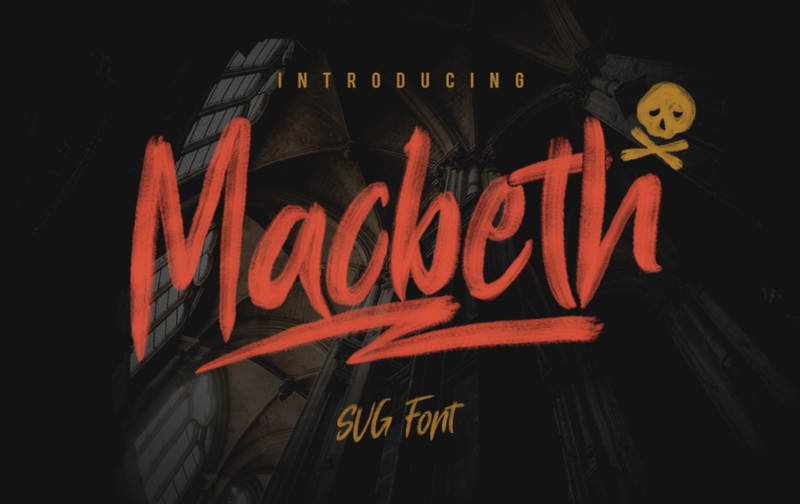 Macbeth is an aggressive hand-drawn font with extra-visual brush marks. It includes uppercase and lowercase characters, numbers, punctuation, and extra marks including lines, squiggles, symbols, etc. It’s free for personal and commercial use. 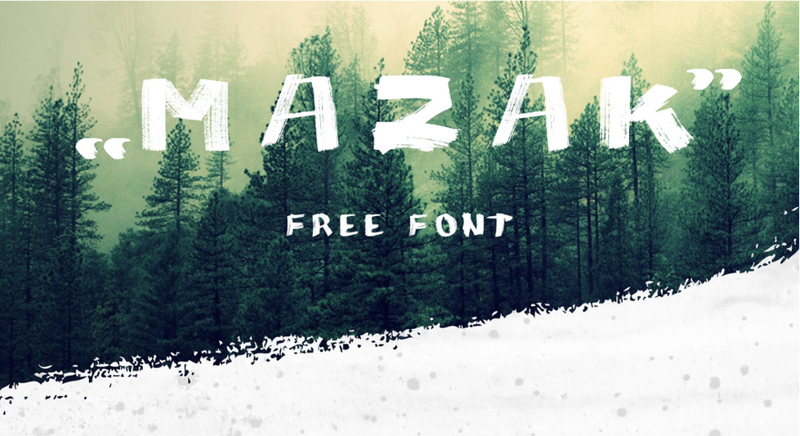 Mazak is a hand-drawn brush font with thick lines. Many of the letters look as if they’ve almost ran out of paint. It includes uppercase letters, numbers, punctuation, and symbols. 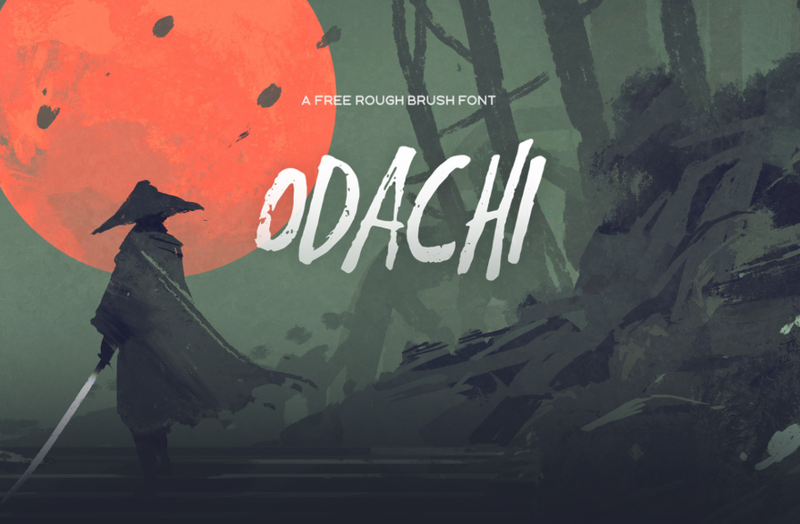 Odachi is a rough brush font that’s inspired by Japanese design. It has capital letters and includes default letters, alternates, numbers, and punctuation. It’s completely free for any commercial use. 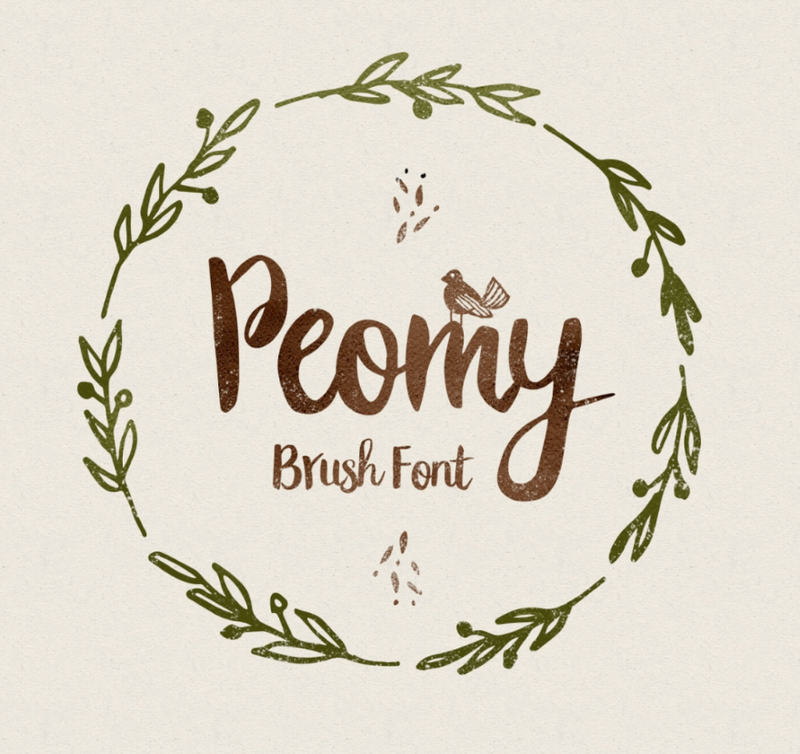 Peomy Extended is a Pro version of the “Simple Caps only Peomy” brush font. It includes upper and lower case letters, numbers, punctuation, and symbols. The letters are brushed with a fude brush using thick black ink on pastel paper. It also includes 150 illustrations and 24 logos. There are multiple licenses available. Rustico is an all-caps typeface with an italicized stance and an authentic brush texture that stands out and makes a bold statement. It also includes numbers, punctuation, and symbols. It’s free for personal and commercial use. 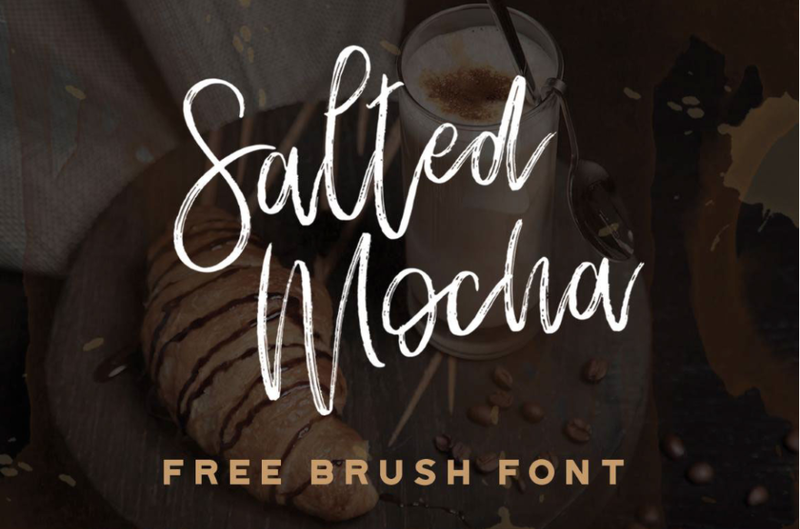 Salted Mocha is a hand drawn brush script typeface that was designed on the iPad Procreate app using a brush pack. It features loopy strokes and a bouncing baseline to create playful upper and lower case fonts. It’s free for personal and commercial use. 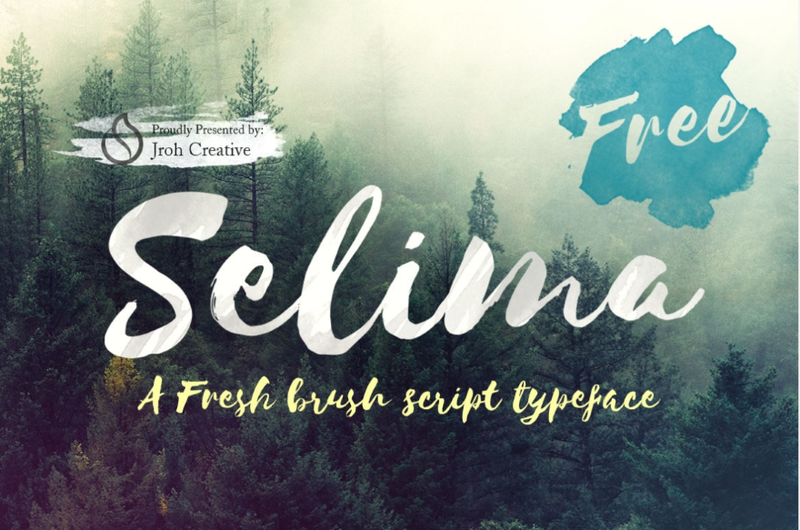 Selima is an elegant brush font that looks great for handwritten text. It includes upper and lower case characters, numbers, punctuation, and symbols. It’s free for personal and commercial use. 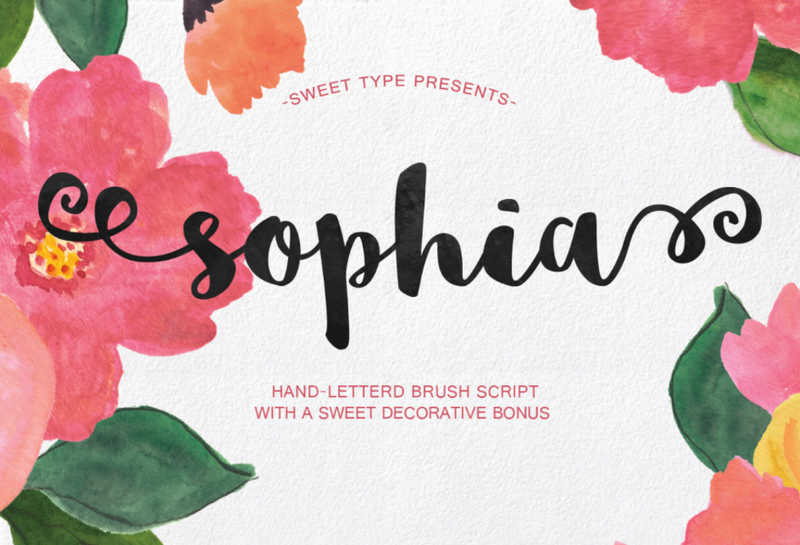 Sophia is a hand-lettered brush script font designed to give a sweet, saucy, and shabby look. It’s multi-lingual and comes with standard upper and lower case, alternate upper and lower case, numbers, punctuation, symbols, alternate glyphs, stylistic combinations, and right and left variations to create an ornamental design. It’s free for personal and commercial use. 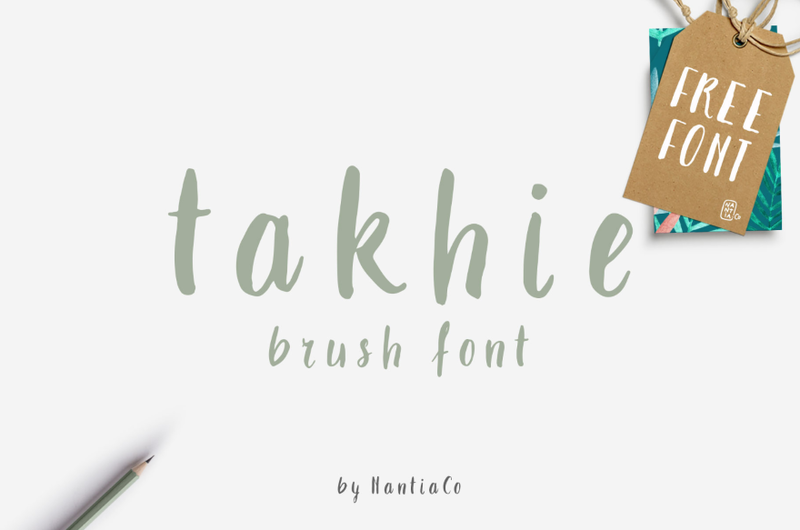 Takhie is a 100% hand-drawn multi-lingual brush font with a tall design that includes Latin, Greek, punctuation marks, diacritics (accent marks), and numbers. It comes with both upper and lower case fonts. There’s also a premium edition available. 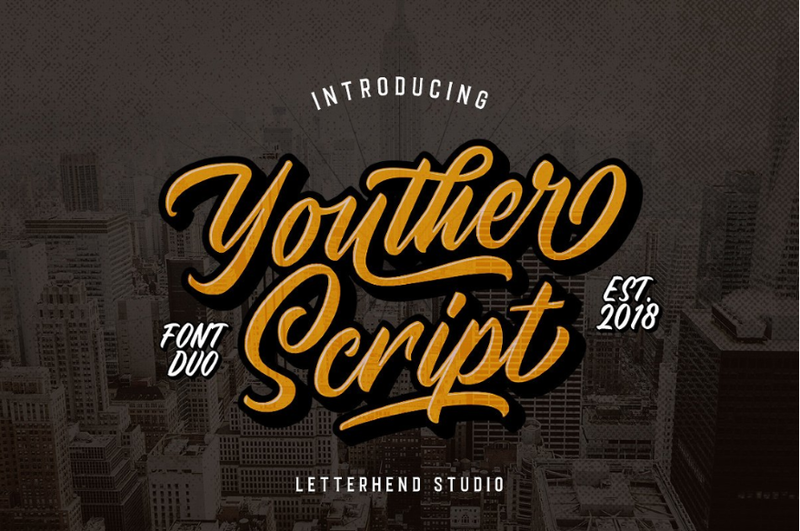 Youther is a font duo with standard and script fonts with a brush layered style. It’s multi-lingual and includes upper and lower case, numbers, punctuation, symbols, ligature, stylistic alternate, contextual alternate, and swashes. It can be used for unlimited personal or commercial projects and unlimited sales of end products. That’s our look at 22 brush fonts to add a hand painted element to your design. Many are free. Some may require you to sign up for their newsletter. As usual, I’ve avoided anything that requires a membership. Brush fonts have interesting designs and I’ve noticed they capture my attention. They’re great for logos, posters, printed materials, headers, banners, ads, and lots more. Whatever you need brush fonts for, you’re bound to find something on this list that’s perfect for your project. We want to hear from you! 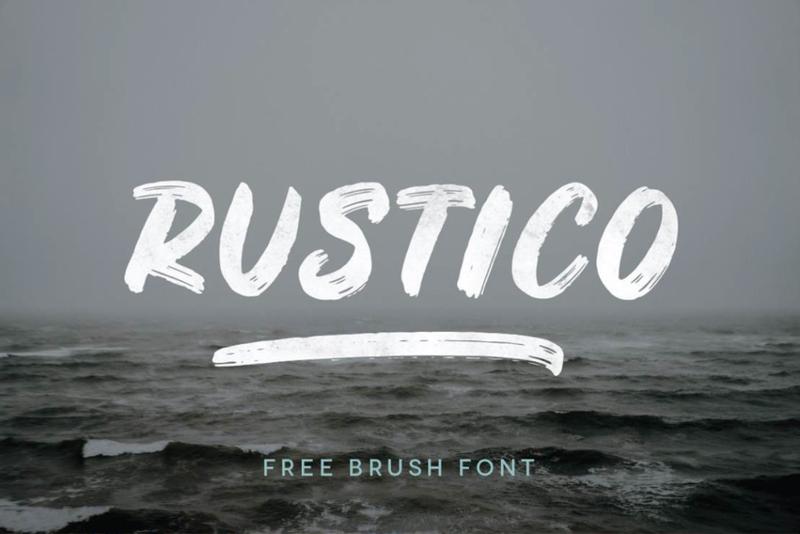 Which of these brush fonts are your favorites? Let us know in the comments. The post 22 Brush Fonts to Add a Hand Painted Element to Your Design appeared first on Elegant Themes Blog.